Made of 92% nylon and 8% spandex that can fit different sizes of arms. This sleeve is perfect for outdoor picnic, camping, protect skin under the sunshine. It also can be used at home, during clean the house, cooking, or clean the yard. Good choice in winter, also keep warming. Super moisture wicking, breathable and comfortable. Cleaning Way: Please do not use hot water and strong alkaline detergent, in order to maintain its elasticity. Better washed by hands to keep the sleeves in good condition for longer time. Available patterns are Bird, Vine, Cow, Lady, Skull, Man, Flower 1, Fire, Flower 2, Dragon. 1.Because of the different light and computer monitors, the color maybe slightly different as pictures! 2.There may be 2-3cm size difference between measurement and actual item. 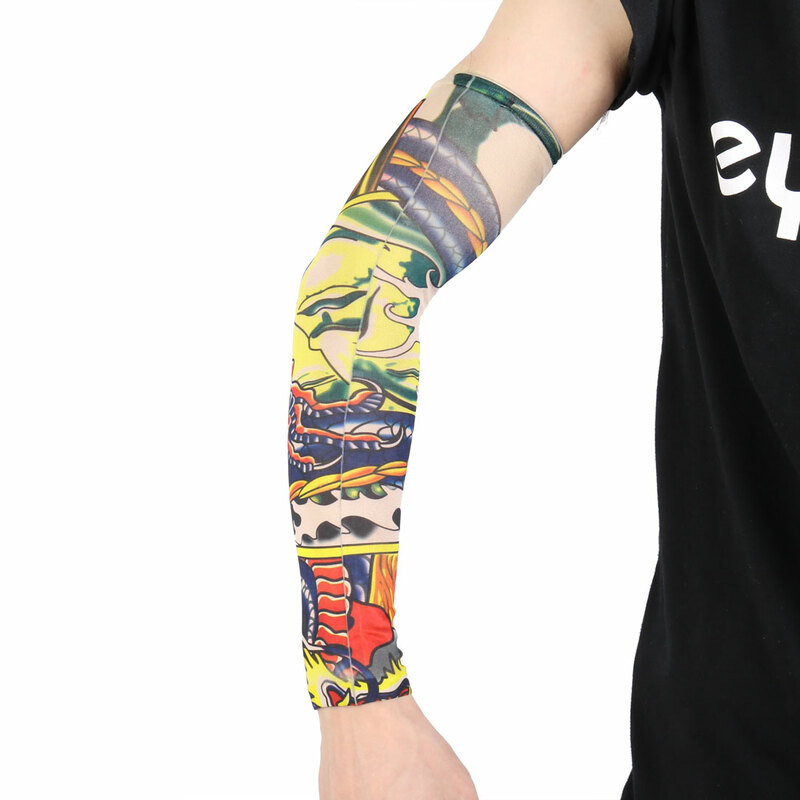 Use your fashion sense to match these sleeves with your T-shirts. They are protective in the summer and keep you warmer in the winter. Easy to wash and you can feel comfortable and soft whenever you wear it. It is suitable for outdoor sports, parties, bar, stage performances, etc.